Michael Byers | Politico Series “To Kill A Man” Gets Accepted Into Society Of Illustrators Book And Editorial Show! We’re super excited and honored as always to get a call from the Society of Illustrators letting MICHAEL BYERS know that this series of images below originally commissioned by Politico Magazine was accepted into the Annual show in the Editorial category. Mike is super pumped. A special thanks to all the judges as we are so incredibly appreciative of being part of this excellent show! 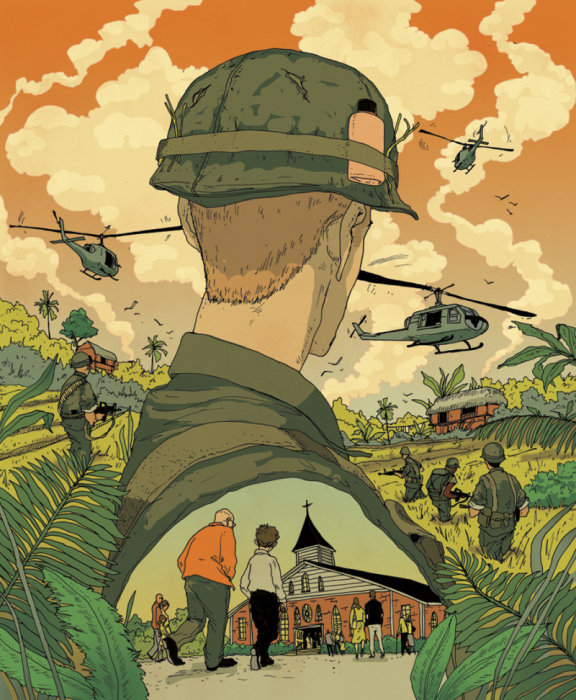 This series called “To Kill A Man: A Short Story” was a fictional piece about infantry combat in Vietnam for Politico’s War Issue featuring a former U.S. Senator who was an author before going into politics. 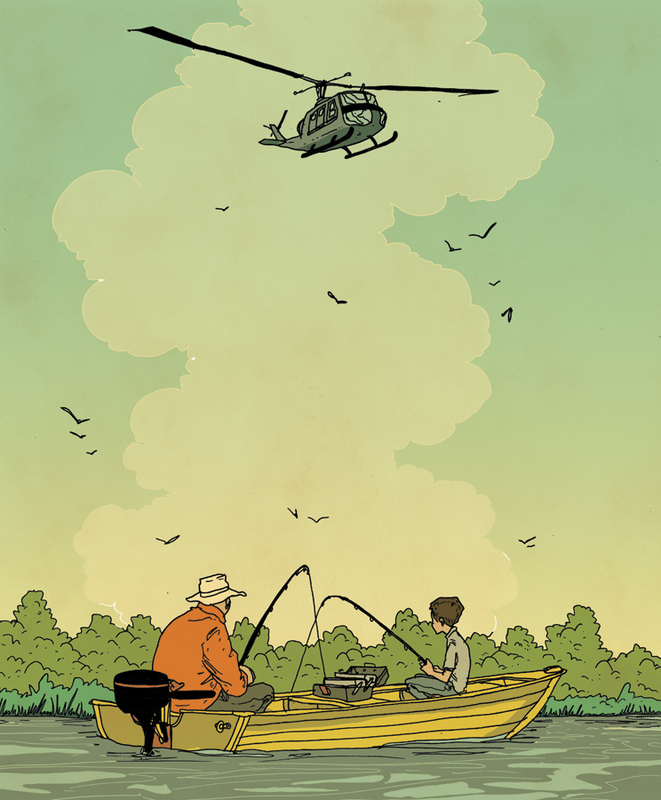 This was for a feature about a Grandfather telling his Grandson about a time in the Vietnam war when he had to kill a man. I hope that many will join me in viewing this great series at the Society at the Book Editorial opening on February 5th! Click here for details. HUGE CONGRATS MIKE!!!! As always we are so incredibly proud of you!! !